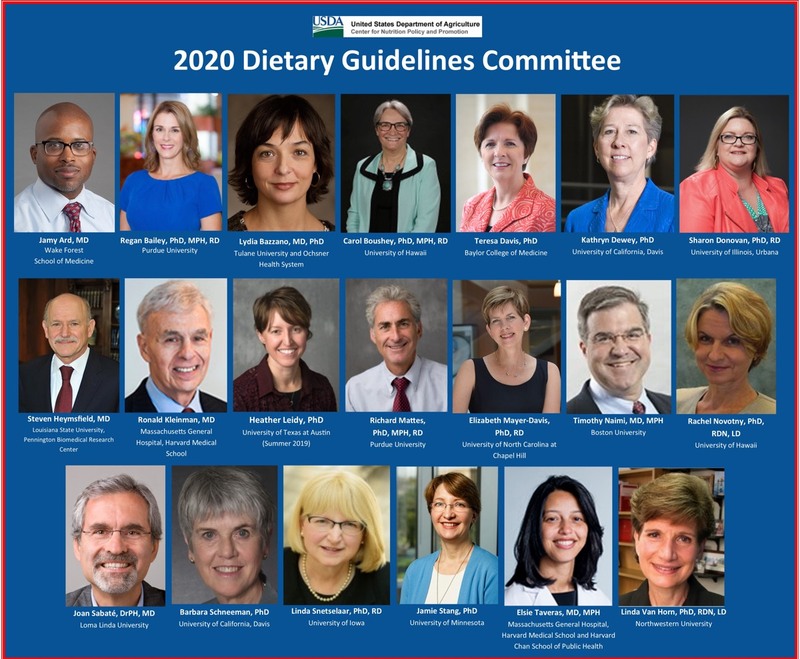 Newly Appointed Dietary Guidelines Committee Meeting this Week - Guided by Science or Religion? The expert committee that will review the science for the 2020 Guidelines was announced earlier this month. Much to our disappointment, the agencies in charge of this process, USDA-HHS, did not include an evidence-based policy expert, as The Nutrition Coalition had urged. Thousands of people sent letters to the Secretary of Agriculture, Sonny Perdue, emphasizing the importance of including this type of expert. Instead, the committee's 20 members include someone quite different: a professor from a 7th Day Adventist Church university. This church promotes the use of a vegetarian diet as a matter of faith, and our question is: What is religion doing in our Guidelines? See our post on the 2020 committee here. Anyone who wants to watch the first committee meeting via webcast or attend in person, see our blog post on this and other ways you can make your voice heard during the Guidelines process. According to a new analysis published in the Journal of the American Medical Association, “Only 8.5% of recommendations in ACC/AHA guidelines…were classified as level of evidence A (supported by evidence from multiple RCTs [randomized controlled clinical trials]), compared with 11.5% of recommendations…in 2009.” In other words, more than 90% of the recommendations put out by these groups are not based on rigorous evidence. And this problem has gotten worse, not better. In fact, the just-published new set of AHA/ACC lifestyle recommendations for the primary prevention of heart disease are disappointing on this front. 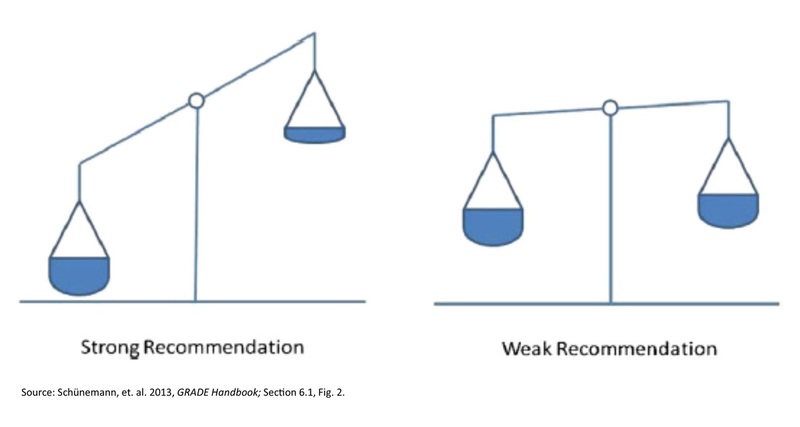 Most key recommendations are not supported by rigorous science, as judged by their own reviewers (which were not the authors themselves but a group in Oregon to which the science reviews were outsourced). Yet this advice is heavily dependent on a single Mediterranean diet trial whose data has come under serious question. Also, the full report (but not the executive summary) contains a statement that low-carbohydrate diets are associated with cardiovascular risk. This statement does not appear to be the product of any systematic review but was instead inserted by the authors, based on epidemiological evidence (principally an analysis of ARIC data, which has also been seriously questioned). We are concerned about the scientific integrity of these guidelines. This concern is both for heart patients, whose doctors will likely only read the top-line summary and not notice the moderate quality of the supporting evidence, and for all Americans, since the U.S. Dietary Guidelines have historically patterned themselves closely on these AHA/ACC lifestyle reports. A recent report by the National Academies of Sciences, Engineering and Medicine (NASEM) recommends 1,500 mg/day of sodium as the adequate intake (AI) level. This is much lower than the 2,300 mg/day recommended by a 2013 NASEM report, which stated that below this level, there was evidence for increased cardiovascular risk. Since then, studies by separate teams of scientists have tended to favor the 2013 conclusion. We’ll have more on salt in a future post. Meanwhile, see our review of the evidence here. Eggs cause heart disease (redux). This story, in headlines around the world, was also the product of an epidemiological study (see our video about these types of studies). This paper showed only an association between eggs and cardiovascular (but not coronary) heart disease. Since coronary heart disease is a major part of cardiovascular heart disease, one should already be wondering if the paper’s findings make sense. Among the paper’s numerous problems was that it tried to count eggs contained in “mixed dishes” such as casseroles, pies, etc., from six different studies, each of which may have defined its “mixed dishes” differently. 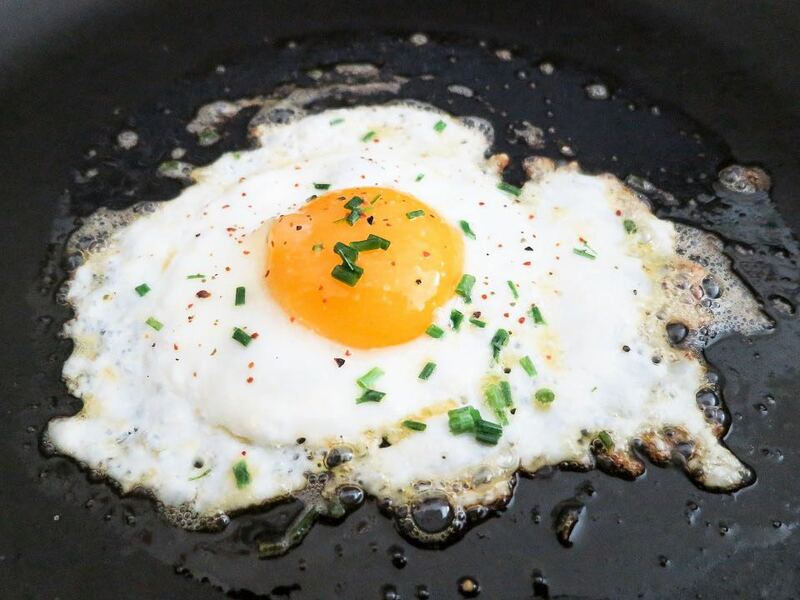 Considering that the original data, coming from self-reported food-frequency questionnaires, is already highly unreliable, the likelihood that the authors could have accurately measured egg consumption seems quite small. Most surprisingly, the authors do not mention the large body of clinical trials (the rigorous studies that can show cause-and-effect) that have already tested the hypothesis that dietary cholesterol causes heart disease. Even Ancel Keys, one of the original proponents of this hypothesis who tested it extensively, found only “trivial effects” of dietary cholesterol on blood cholesterol, and by 1955, stated that this question needed “no further consideration.” Since then, many trials have been conducted, confirming Keys’s findings—a rigorous body of evidence that has led most European nations to drop their cholesterol caps in recent years, and the U.S. Dietary Guidelines to do the same in 2015. If a hypothesis has been tested and found lacking, why go back to a hypothesis-generating paper, as these authors have done? We support legitimate debates about the science and don’t intend to focus on any one diet, but we can’t help noticing the intensity of the recent flood of attacks on the ketogenic diet, or “keto.” Our stance is simply that this dietary approach is evidence-based and has shown promise for people with metabolic diseases, especially diabetes. It should be one possible option. So why all the scary headlines? For example, a slew of headlines claimed that the keto diet is linked to heart arrhythmias. These stories were the result of a decision, by the American College of Cardiology (ACC), to issue a press release of an unpublished talk that had not yet been presented. It was not a published paper and therefore not peer reviewed. This kind of very preliminary data is hardly ready for prime time, and it’s strange that the ACC would promote this finding so prematurely. Another set of anti-keto stories based on no evidence were particularly offensive. They took aim at women, spurring more than one observer to dub them “misogynistic.” These would be the “keto crotch” stories: 28 of them in just 8 days, including some by mainstream media such as Forbes, the New York Post and Yahoo. There was no evidence for these headlines—not a survey or study of any kind. One citizen of the twitter sphere researched the reporters and experts involved in these stories. It seems they were #fakenews, a well-funded PR campaign, in other words. The NYC government appears to have been successfully lobbied by the group Meatless Mondays, which is funded by 46 food companies, from bean producers and Ronzoni pasta to “Tofurky,” and “Walnut Burgers,” all of which stand to benefit when meat is removed from the diet. Moreover, it’s not clear that NYC policy makers knew about the potential negative health consequences of their policy. For poor children, especially, who rely upon school meals, meat is an important source of complete amino acids (proteins) needed for healthy growth as well as many essential vitamins (B12, D3, K2, iron, choline, zinc, and the bioavailable type of omega 3s), none of which are available or nearly as bioavailable in plant foods. NYC Public Schools should be doing everything possible to foster the healthy minds and healthy bodies of children, not submitting them to the food lobby or teaching them that there is something inherently wrong with eating meat based on so little evidence. Tested the question extensively: “Diet and the Epidemiology of Coronary Heart Disease,” Journal of the American Medical Association 164, no. 17 (1957): 1912–1919. Quote in Ancel Keys et al., “Effects of Diet on Blood Lipids in Man Particularly Cholesterol and Lipoproteins,” Clinical Chemistry 1, no. 1 (1955): 40. Was this email forwarded to you? Sign up for the newsletter here. The Nutrition Coalition is a nonprofit educational organization working to strengthen national nutrition policy so that it is founded upon a comprehensive body of conclusive science, and where that science is absent, to encourage additional research. We accept no money from any interested industry.